Create one or an entire litter of kitties with this fun foundation paper pieced pattern! Customize the shape of the face –fluffy or slim– by swapping fabrics on four pieces! 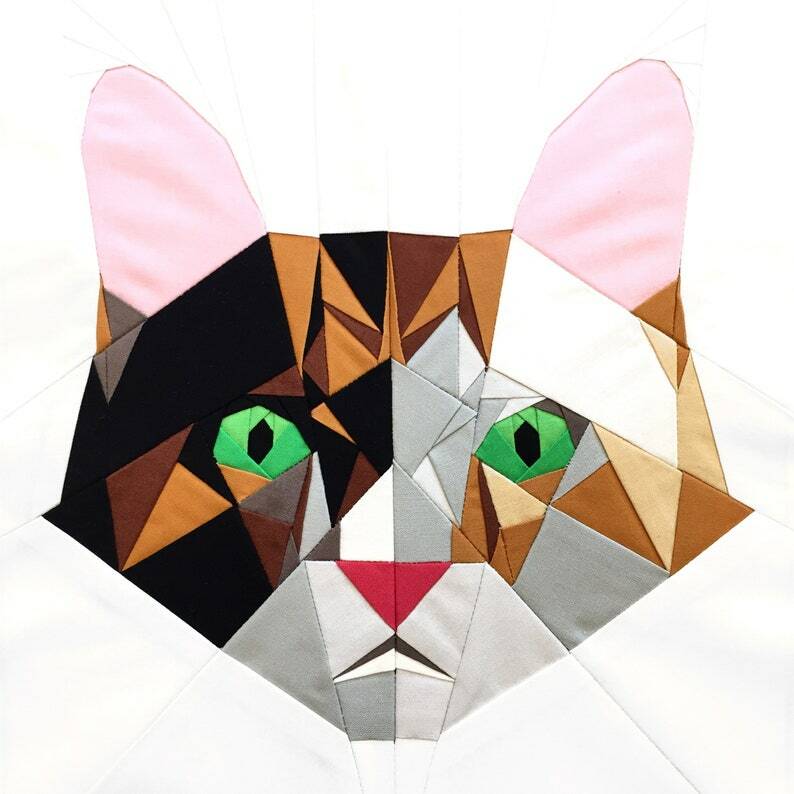 Also, the design was created to mimic the traditional markings on most cats so that quilters would be able to create a quilt block that mirrored their own favorite feline. This intermediate pattern includes templates and assembly instructions to make an (approx.) 11" x 12" block. An assembly diagram may also be used as a coloring sheet to plan your cat in advance. Tutorial of how to foundation paper piece is not included. I love the details this block has!